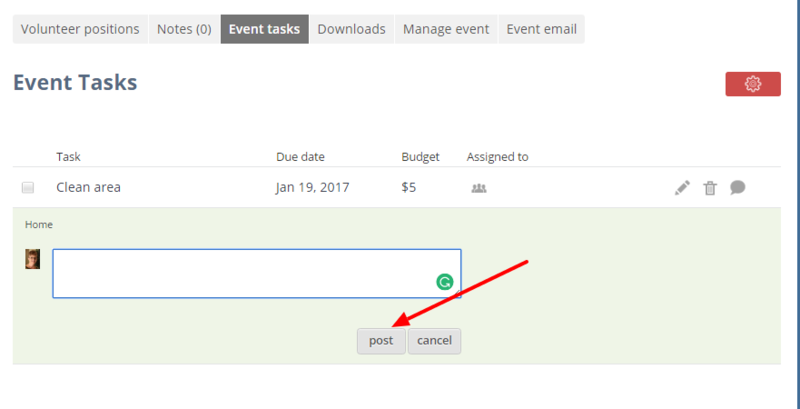 Post or add comments on any event tasks. 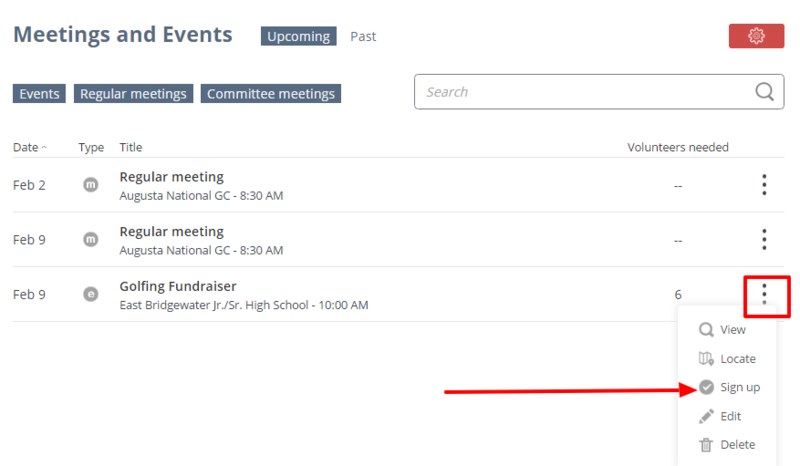 Click the Meetings & Events icon on the navigation menu on the left. 2. Locate any event that requires volunteers then click the dots to the right and click the Signup button. If the event has volunteer positions, the Signup button and the number of volunteers will show. 3. Go to the Event tasks tab, locate the task and click the Comment button. 4. Type your comment in the textbox. 5. Click the Post button.